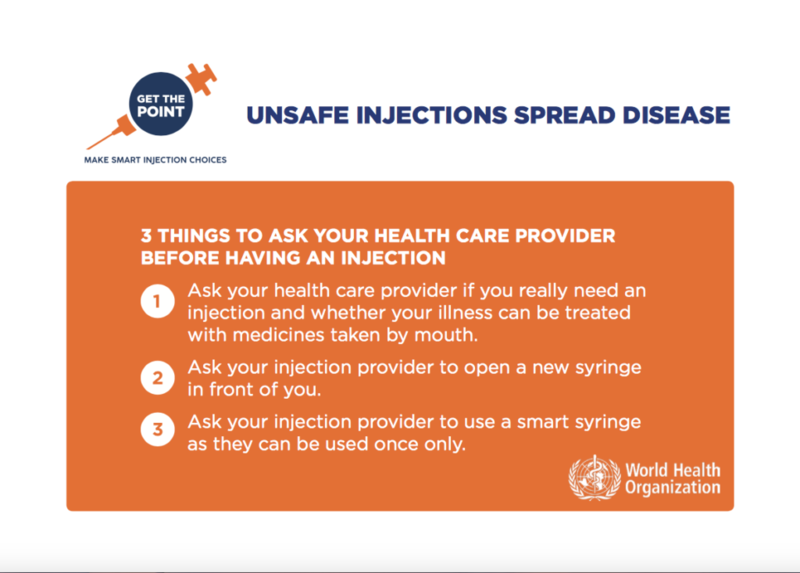 The World Health Organization reminds us that we need to make smart injection choices. Following are the questions that the WHO suggests we ask our healthcare provider before we receive an injection to help us make smart injection choices. Unsafe injections spread diseases such as viral hepatitis. When we communicate with our healthcare providers we make good decisions and healthcare improves.